Mrs. Brenda Gail Mancill Turner, age 66, entered into rest on Tuesday, February 12, 2019 at her home. Funeral Services will be 12:00 PM Saturday, February 16, 2019 from the Chapel of Miller-Rivers-Caulder Funeral Home by Rev. Johnny Quick, James O’Neal, and Marvin Davidson with burial to follow in the Oakland Baptist Church Cemetery. The family will greet friends from 11:00 AM – 12:00 PM Saturday prior to the service at the funeral home. Mrs. Turner was born July 23, 1952 in Timmonsville, SC a daughter of the late Sam Perry and Martha Sue Parnell Mancill. 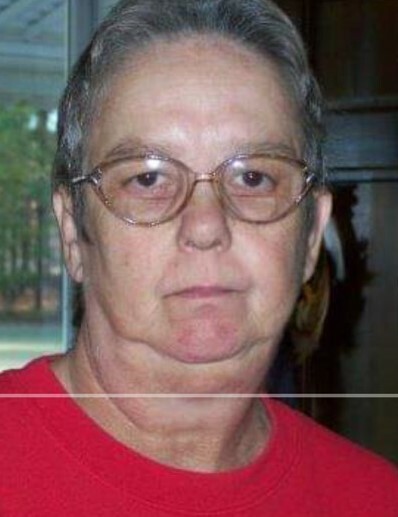 She was a retired employee of Cheraw Gas Company and was a caretaker for many years. A member of Children’s Baptist Church, Brenda loved spending time with her grandchildren and they knew they were the center of her world. In addition to her parents, Brenda was also preceded in death by her brothers-in-law, Kenny Chapman and Marvin Turnage. Survivors include her husband of 41 years, Rev. Robert E. Coleman Turner, Jr.; son, Matthew Coleman (Kimberly) Turner of Patrick, SC; grandchildren, Melanie Brooke Turner, Matthew Coleman Turner, Jr., and Toby Ray Turner; sisters, Jennie Mae Turnage, and Terrie Sue Chapman both of Cheraw, SC; brother, Sam Perry Mancill of Timmonsville, SC; mother-in-law, Mary B. Turner of Chesterfield; and numerous nieces and nephews. Memorials may be made to Children’s Baptist Church, 940 Patrick-Society Hill Road, Patrick, SC 29584. Miller-Rivers-Caulder Funeral Home of Chesterfield, SC (www.mrcfuneralhome.com) is serving the Turner family.